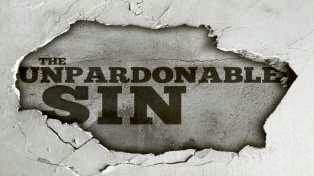 Sometimes ago someone inquired from me and said “Is there any sin that is unpardonable? Is there any sort of sin which God can't forgive because it's written that to blasphemy the Holy Spirit is unpardonable? I am scared and confused Sir" It's obvious that most Christians are also bothered by the same question because none ever wish to commit or indulges into an unpardonable sin that might cause him/her to end-up in Hell. This same question also creep my heart several years ago while I was still in the world. During those era’s I use to go to church as many of us who were brought-up by Christians families often indulges but yet whenever I came across this question of the unpardonable or unforgivable sin, I always feels scared to ask question or attempt to discovered the type of sin that is unpardonable or unforgivable by God. Personally isn’t because I wanted to avoid such sin but rather afraid of yielding into the temptation that will prompt me to indulge into it. I assumed that if my sub-conscious mind registered such unpardonable or unforgivable sin and I eventual lured into it, I will live the rest of my life on Earth in miserable and condemned with the awareness that I’m going to share the same kingdom with the devil in eternity. This notion was the reason why I refused to sort for the divine revelation of the scripture according to "But he that shall blaspheme against the Holy Ghost hath never forgiveness, but is in danger of eternal damnation” (Mark 3:29). However after my conversion to Christ and Holy Ghost baptism and deep study and research of the scriptures I have come to affirm that unpardonable or unforgivable sin is simply an act of refusing to hearken unto the Holy Ghost conviction of a certain sin or refusal to repent from a particular sin and keep justifying yourself. 1 John 5:7 "For there are three that bear record in heaven, the Father, the Word, and the Holy Ghost: and these three are one” This is the 3rd personality in Trinity of God's Head. The Holy Spirit is God and was sent to the world to accomplish the work of Grace in converting many unto Christ but such person ought to first accept or embrace his "convincing" voice before "Conviction" and "Conversion". The Helper, the Holy Spirit, whom the Father will send in my name, will teach you everything and make you remember all that I have told you. (John 14:26). The Holy Spirit can make use of anyone to accomplish his earthly ministry, either a prostitute or arm-robber but that doesn't mean such person is in good tune with God. However, he can use them to heal the blind, make the lame to walk, raise the dead and even wrought great signs and wonders because his ways are past finding. He is meek, wonderful, gracious, merciful and never ceased in goodness and his primary purpose is to lead majority unto Christ through repentance under the act of "self-will" In the same way the Spirit also comes to help us, weak as we are. For we do not know how we ought to pray; the Spirit himself pleads with God for us in groans that words cannot express. (Romans 8:26). The Holy Spirit can't compel anyone to accept the truth without their self-willing and whenever you perceived anyone rejecting, blaspheming or speaking evil against the perfect word of God that will empowered the Holy Spirit to "convinced" him/her of the truth; — definitely such person sin shall never be forgiven because "acceptance" of the truth comes before "repentance" and repentance comes before "forgiveness" as it is written "But he that shall blaspheme against the Holy Ghost hath never forgiveness, but is in danger of eternal damnation" Mark 3:29. WHAT IS UNPARDONABLE SIN WHICH GOD CAN’T FORGIVE? The unpardonable sin today is the state of continued "unbelief". The Holy Spirit currently convicts the unsaved world of sin, righteousness, and judgment. And when he is come, he will reprove the world of sin, and of righteousness, and of judgment: Of sin, because they believe not on me; Of righteousness, because I go to my Father, and ye see me no more; Of judgment, because the prince of this world is judged’ (John 16:8-11). Hence, to resist that conviction and willfully remain unrepentant of any particular sin in your life is to “blaspheme” the Holy Spirit. There is no pardon, either in this age or in the age to come, for a person who rejects the Holy Spirit’s promptings to trust in Jesus Christ and then dies in unbelief. The love of God is evident: as it was written in "John 3:16" and John 3:36". CAN YOU BLASPHEMY THE HOLY SPIRIT? Some years ago I used to indulge into online football gambling business (bet 9ja) and also worsen with addiction to Premiership Soccer league. Though i was a renowned figure in the church, well respected and honor by the brethren, but secretly devoted in Gambling and Soccer Game. However the Holy Spirit didn't give-up by persistent echoing unto my ear about the danger of my addiction, but yet i keep justifying myself until the last straw that broke the camel's back, which prompted my repentance. READ ALSO: The Danger Of Sin Of Lies In The Life Of Christians. So as a Christian there are some certain secret sin in your life which can't be pardon if you refuse to acknowledge them and seek for God's forgiveness. Its unfortunate that majority of us (evangelist) and pastors tend to behold ourselves as Holier Than Thou. Just because we can preach and spread the gospel in our neighborhood, social media and respected in the church, we felt that we're pure and Holy and there is no need for daily self-examination or spiritual clinic or needs to hearken unto godly instructions. Nevertheless, it's never the will of the father for anyone to die in an unrepented sin and that is reason why the Holy Spirit is presently pulling every available string and effort in order to ensure that everyone perceived his "convincing voice". Do not restrain the Holy Spirit (1 Thessalonians 5:19). Any secret or unrepented sin you refused to repent and keep concealing shall never be pardon in this life and also in next life. Proverb 28:13 "He that covereth his sins shall not prosper: but whoso confesseth and forsaketh them shall have mercy"
For example, you have been warned severally that gambling is a sin and women artificial makes-up, trouser (pant), jewelries and hair attachment are marine properties and will leads you to an eternal torment in Hell. Yet, you keep imprisoning and justifying yourself with the perverse doctrine of your counterfeit pastors that God isn’t not after outward adoring of immodesty dressing but rather the inner content of the heart. READ ALSO: The Danger Of Serving God Under The Anger Of God. In this scenario, the Holy Ghost has never ceased in convincing you or pointing your eyes to behold edifying messages on the internet/social media which condemned such dogma teaching of your pastor. Moreover, example of this fact is presently on course, because you have been directed to this online ministry website which condemned women immodesty dressing by the same merciful Holy Ghost in order for you to seek for godly repentance. 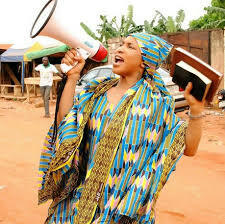 But it’s unfortunate that some Christian women are yet to embraced the doctrine of modesty dressing and if they eventual died without abolishing of those dressing; they shall be tagged as wasted Christians who blasphemies against the Holy Ghost warning and such sin shall never be forgiven in eternity. HOW DOES HOLY GHOST CONVERT SINNER? There are 3 phase involves before salvation can be fully enacted. CONVINCED: The Holy Spirit will convinced you to believe this edifying post without doubt — But that doesn't make you a Christian. CONVICTED: The Holy Spirit will propel you to pricked in heart, shed tears and felt sorrowfully rumors for your past mistakes and unbelief — But you can still backslide easily because you are not yet sanctified. CONVERSION: The Holy Spirit will move to the last phase (perfection is a gradual process) which involves "sanctification" Simply means, total purification of heart and uprooting every root of sin/adamic nature and unrighteous thought of the heart. 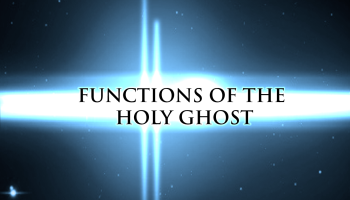 If you blaspheme against the "Holy Spirit"; your sin can't be forgiven because you deliberately dispersed the first working phase of the Holy Ghost (convincing of the truth) in your life while attempting to convince you to believe. READ ALSO: God Will Judge Wickedness Again. Whosoever rejected the first phase or convincing act, speak evil, make mockery, argue or debates against any godly instructions without seeking for repentance shall never be forgiven (you can only be forgiven when you acknowledge your sin) in this life and after death; because such person has voluntary refused to yield unto the persistence convincing of the Holy Spirit by abusing and rejecting testimonies, signs and manifestation works of God which bringeth salvation. 0 Response to "What Are The Unpardonable/Unforgivable Sin Which God Can’t Forgive"